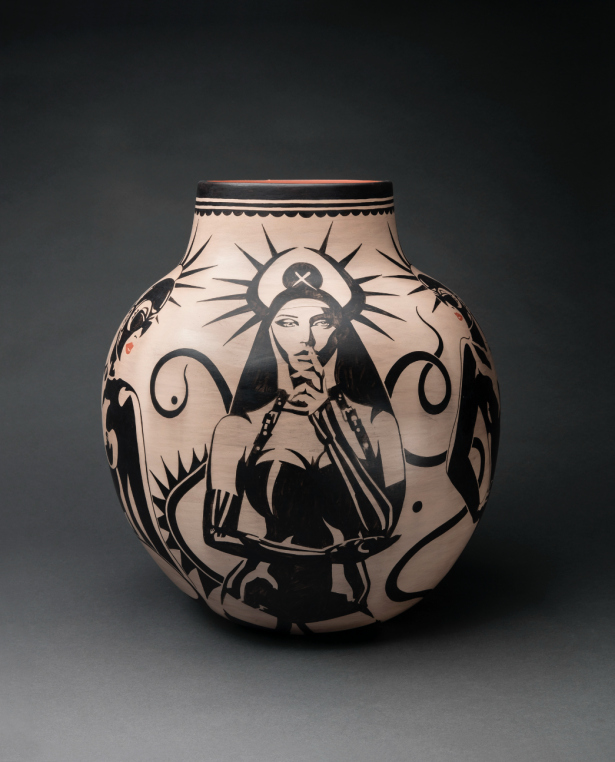 Virgil Ortiz is a Pueblo artist inspired by two loves: the traditional figurative ceramic style he learned from his mother, and Star Wars. These influences resulted in Revolt 1680/2180, a sculpture series retelling the story of his ancestors’ rebellion against Spanish colonizers in 1680, complete with laser blasters and an ancient astronaut vibe. 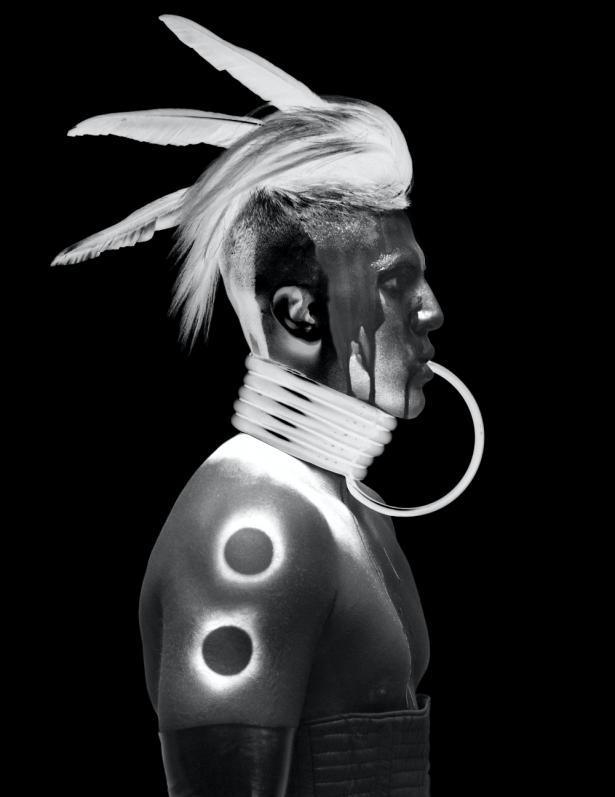 We spoke to this internationally-renowned artist after his appearance at the Virginia Museum of Fine Arts this past October as part of the Hear My Voice: Native American Art of the Past and Present exhibition. 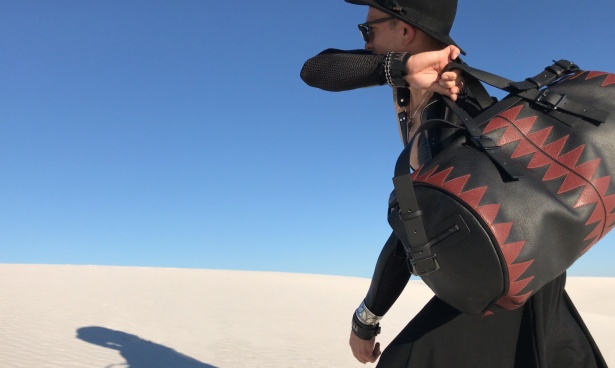 In this exclusive interview, we talked about his work, his process, and how he avoids appropriation of his work, even as he collaborates with fashion designers like Donna Karan. You still live and work in your birthplace, Cochiti Pueblo. You’ve traveled the world to exhibit your work, but I’m curious how it’s received back home. Sadly, creating pottery using traditional methods & materials is a dying art form; there aren’t many masters still living in my community at Cochiti Pueblo, NM. I believe my mentors, teachers, and community view my clay works as innovative, when in fact, I am reviving the original style, subject matter and social commentary that was used in the 1800’s. I have dedicated my life to revive these significant pieces and art form, and give voice back to the clay that was once destroyed by the non-Natives. Once they understood where my inspiration was coming from, and by examining photographs of historic pieces, I gained their support. Your work is like nothing I’ve ever seen; but it has familiar elements, too, drawing from pop culture and other influences. Would you call it traditional? What makes your work so original? I am inspired by all types of cultures, non-Native included. I am fortunate to be able to continue and use the same methods and materials that have been used for a very long time. The only thing different are my subjects. 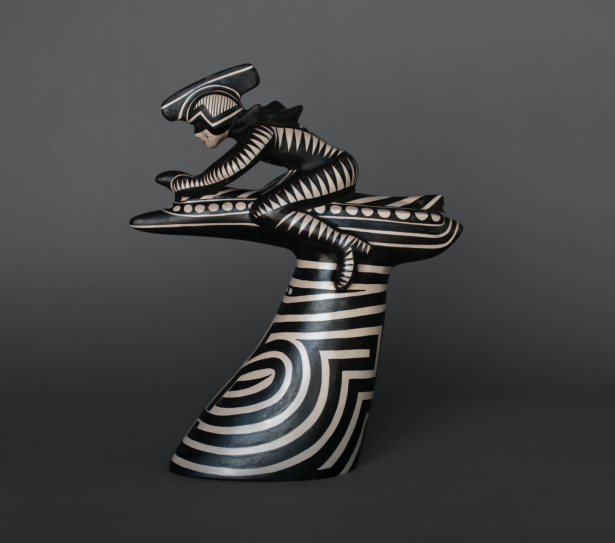 Cochiti figurative clay works from the 1800’s were based on social commentary, so that itself provides me with a vast array of subjects to work with, [which] transcend to what is considered Native art today, yet [are] very traditional at the same time. Can you talk a little bit about Revolt 1680/2180, your exhibit at the Denver Art Museum? I love the way you bring an event that happened over 300 years ago into the future. What’s it about? For the past 15 years, I have sought tell the story of the 1680 Pueblo Revolt, also referred to as the First American Revolution. The Revolt of 1680 is a historic event that hovers somewhere between the unknown, insignificant, and ignored by most unless they live in certain areas of the Southwest. This historical event is not taught in schools, or included in textbooks; it has been swept under the carpet for far too long. By utilizing the mediums I work with, I’ve been able to create a storyline using my art to make it more interesting and relevant to the next generation. 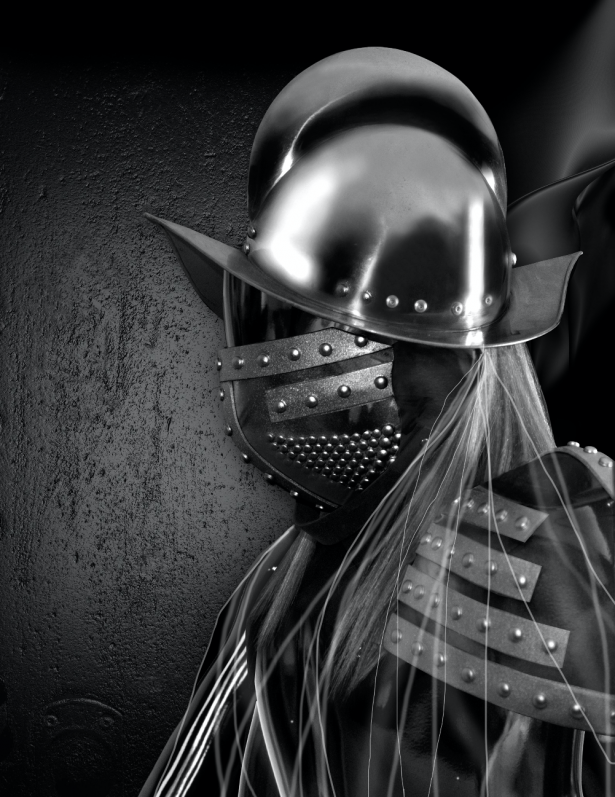 The Revolt storyline takes place in 1680 and [is] simultaneously happening in the year 2180. 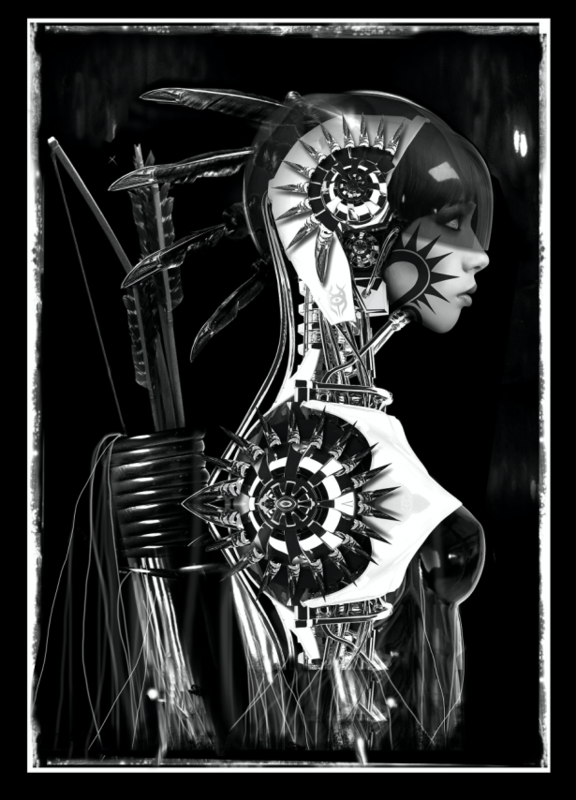 This allows me to incorporate fantastic versions of the original characters and introduce a sci-fi point of view. It reflects the impact I want to have on the world around me through art, education, and information. It is a foundation for a new revolution in the artistic expression that has been part of my history for hundreds of years. In your talk at the VMFA, you identified Star Wars as a major influence on Revolt. I’m curious, how personal is that influence? Was Star Wars just a useful creative vehicle, or is this something close to you? I have loved the saga since the first film. I learned every character, where they came from, their language, and their costumes/wardrobe when I was 7 years old. As a teen, I realized how fast I learned every detail about the storyline and then was inspired to write a script about our own history, in hopes the next generation and public, in general, would be interested and inspired to learn about our people and Pueblo history. I chose the 1680 Pueblo Revolt, the First American Revolution, as the foundation of my storytelling. I use every medium I work with to tell our story. The events of the Pueblo Revolt are little known among most Americans today; however, it is an important and vital part of Pueblo history. It is my mission to continue to create global awareness that Pueblo communities are very much alive and have a level of vitality that speaks to generations of strength, persistence, and endurance. Are there many books about the Pueblo Revolt? How can our readers learn more? There are only a handful of books written about the revolt. The book Po’Pay, Leader of the First American Revolution, by the late Herman Agoyo, my mentor–[Agoyo] spent much of his life recounting the history of the revolt. The impact and the remembrance of the revolt has not wavered over time for the Pueblo people. As a way to honor his importance, a statue of Po’Pay has been placed in the National Statuary Hall in the U.S. Capitol in Washington, D.C. The statue represents the man, but it also symbolizes the strength and determination of Pueblo culture, religion, and history. Revolt confronts a historic atrocity that has had long-term effects. What other causes or social issues do you explore in your work? This year, I created a new series entitled Taboo. It’s an ongoing series that focuses on controversial and forbidden subjects that one might deem challenging and or difficult to discuss. Placing an art object in front of the viewer makes it easier to talk about and encourage participation. Subjects such as cancer, cyberbullying, inequality, sexual assault, LGBTQ, gun control and political mores, just to name a few, not only affect Natives, but all humankind. These pieces and subjects are important to me and they remind us that we have to join together and create a conversation of connection. We need to engage, educate, participate, support, enlighten and heal. Would you say the current political climate gives your work extra significance? Yes, absolutely. 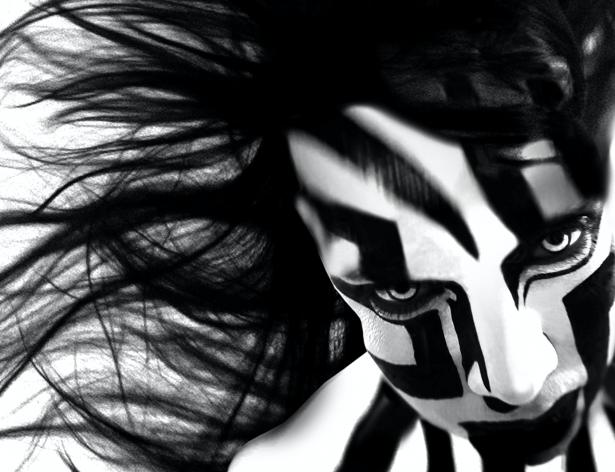 My Taboo series touches on the subject, and there is a specific body of work I created entitled Rise Up. I call it my prediction piece; I completed it in December 2016. If you recall, the Dakota Access Pipeline protest was in full form [at that time]. If you view all angles of the vessel, it tells a story of heartbreak, turbulence, and corruption that will eventually eat away at politicians from the inside out. This piece speaks volumes for all to rise up and empower ourselves for the greater good. 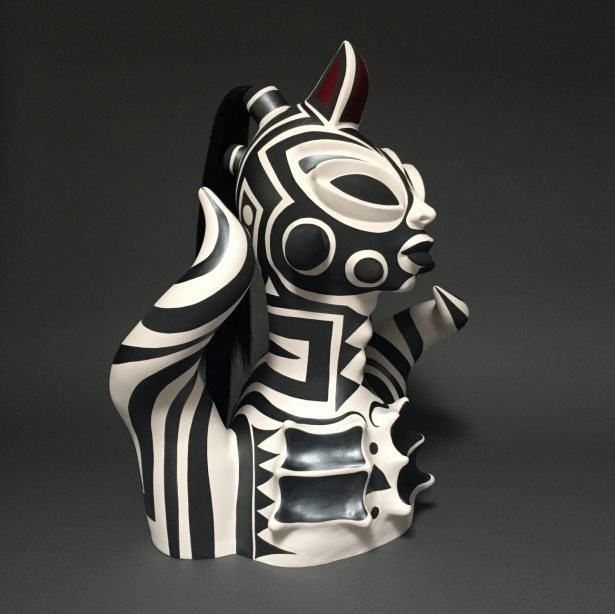 Does Rise Up have a thematic link to your traditional Cochiti Pueblo work, too? What about the process? 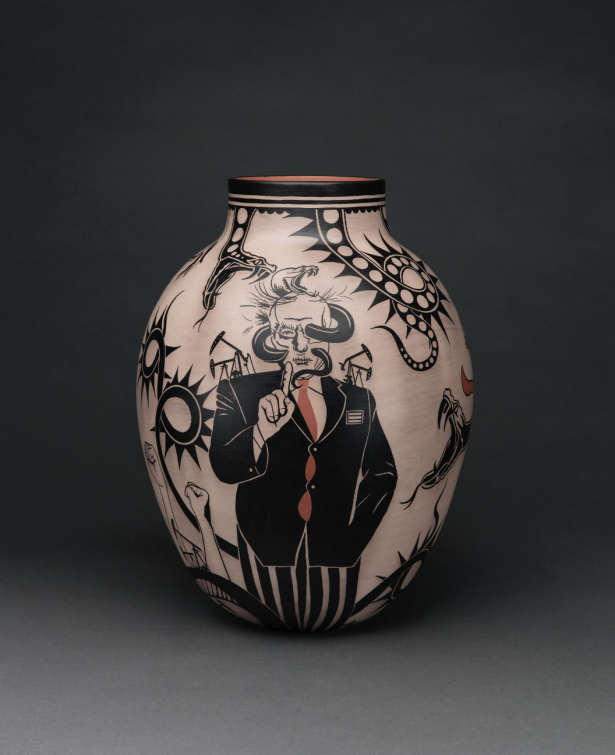 It falls in line with the historic pieces that were created in Cochiti; they were all based on social commentary. I still use the same methods and materials. We dig our own clay, we make our own paints, clay slips, everything. The only thing that has changed is that the social commentary had died out, and this brings it back. How’d that dying out happen? Back in the 1800s, the Native people made caricatures of people who were being brought into the area, by way of the new railroad system and everything that came with it. Operas, circus sideshows, performances, the Natives commented on it through their artwork. Like the figurative pottery. You see these really cool pieces from the 1800s that were based off those circus sideshows, the Mexican circuses that would travel this way. It’s really cool to see those historic pieces that have tattooed bodies, siamese twins, everything that you’d see in an old-school circus. They look very contemporary for that time. That whole idea, the social commentary, died out because of non-Native attitudes when they found caricatures of themselves. That put an end to the social commentary. What I’m doing right now with my artwork is to bring that whole idea and style of what they did in clay to touch on current subjects. Was that the first time that Europeans censored or destroyed the work of the Pueblo? No. When the first non-Natives arrived to the area, a lot of the artwork was destroyed because they were conquering in the name of the Church and everything. They were looking for wealth, of course, and when they came into contact with the Natives, they destroyed a lot of the artwork and accused people of witchcraft and sorcery. What I’m trying to do is give voice back to the clay that was broken, and to let the world know that we’re still here, thriving, creating, and living. Artists from minority communities can be burdened by an expectation that they represent a monolithic culture or identity. Do you ever feel like you have to find a way to speak for all of the First Peoples? Not at all, but I do try and place my work into non-Native venues and galleries so I can open doors and present opportunities to the next generation of Native artists. Teaching them how to present their portfolios, communicate with galleries or museums, and overall [giving] general advice and guidance should they desire/choose to live their life as an artist. Basically giving them support and resources to help them along the way. People are finally talking about the damage that cultural appropriation does. What can be done to stop the practice? Well, using Native Americans as logos or for teams is pretty racist. There are laws that prevent some of that, and people need to be aware that they can’t just do that. There are laws that say there are original, authentic Native American work, and trademarks offer protection too. Spend the money to protect yourself and your intellectual property before you start posting things online, because once it’s online, it’s fair game, even though it might be your family designs. If your family designs are sacred, don’t expose it, keep them at home where they’re supposed to be. In a lot of work I do, there are family designs, but I tweak them to make them my own and keep the original art here at Cochiti where it belongs. What do you tell people who want to work with First People in collaboration? You worked with Donna Karan, for instance. Are there any lessons from that work you can share? I collaborated with her in 2002 and 2003. She approached me personally asking to place my design work on her garment. That was admirable because she took the time to ask permission to cooperate, and I hope that goes on a lot more. That shows respect, and it’s a good way to get designs out into the world. How do outsiders see the work of First Peoples? I hadn’t been aware of contemporary artwork by First People until I saw your presentation. Are there other artists we should be paying attention to? Is there a movement right now? A lot of Native art is looked at as arts and crafts. Sitting next to a contemporary ceramicist, though, our work is fine art. That’s what it is. I have to teach that to people. There are specific museums and galleries for Native art, but I’m trying to jump that line into galleries that don’t normally feature Native art. A couple of fellow Native artists come to mind: Kent Monkman (Canadian First Nations) and Rose Simpson (Santa Clara Pueblo, NM). I’m not sure if this is a movement per se, but there are hundreds of Native artists creating important work. I believe there are a lot more platforms available, social media, news outlets and publications, some Native-owned, that have helped Native artists introduce/share their work and voices worldwide – and that’s momentous.